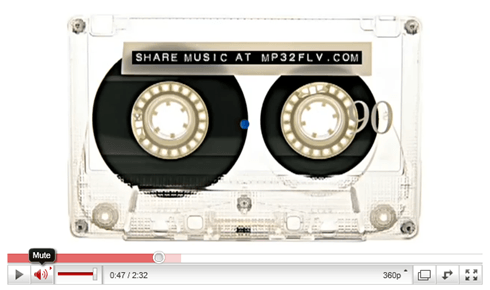 As a video-sharing service, YouTube was not designed as a place for its users to share MP3 music files. But, like most Web sites in the social media Internet revolution, YouTube’s users have shaped the service to fit their purposes. MP3’s are found throughout YouTube, cleverly disguised as background music playing as a static image is displayed in place of a real video. Sharing an MP3 on YouTube in this manner is quick and easy with MP32FLV.com. Click Choose Audio to upload an MP3 from your computer. 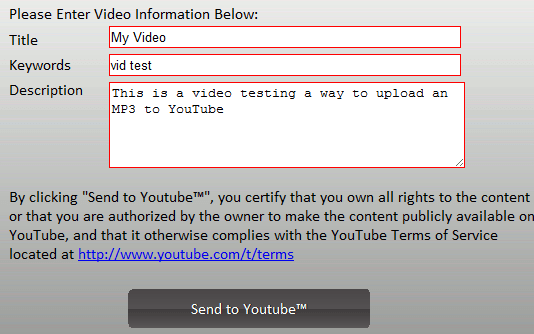 You can also upload an MP3 that is already available on a Web site. When finished, click Next. Click the Choose JPEG button to upload a picture. Any picture will do, so long as it is saved as a JPEG. Click Next when finished. A message appears stating your video is being converted. Depending on the size of your MP3 and JPEG files, this could take a few minutes. When your video is done, you have the option to either download the video and upload it to YouTube yourself, or you can click Send to YouTube and sign into your YouTube account to instantly transfer the video straight to YouTube. You will be prompted to give your video a title, keywords and description before the video is sent to YouTube. 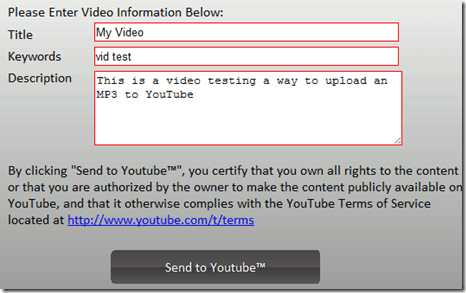 Your MP3 video is watchable from YouTube within just a few minutes. In one of our tests, we did not upload a JPEG. The service kindly added one advertising MP32FLV.com. The cassette is a nice touch—but a large chunk of YouTube’s users probably have never even seen this almost forgotten media. Overall, MP32FLV.com does what it claims easily, and with little time investment. Our only complaint with the service is over-abundance of advertising scattered throughout the Web site. Some of the ads are intrusive and can make finding the next button confusing at times.